Signature cocktail, anyone? Greet guests with something a little extra special. At these various stations, people are encouraged to mix and match. It is all about creating something that they would love to eat or drink. And who wouldn’t want that type of encouragement? Along with these areas, party planners (including DIY!) can continue to build upon their theme or color scheme with additional finishing touches. Is your signature cocktail a bold shade of red or mysterious blue? Why not incorporate this fun pop of color with your linens? Perhaps, an overlay? Chair sash? Runner? It is entirely up to you. With whatever you choose, we know you will be happy with your Bergen Linen party linen selection. 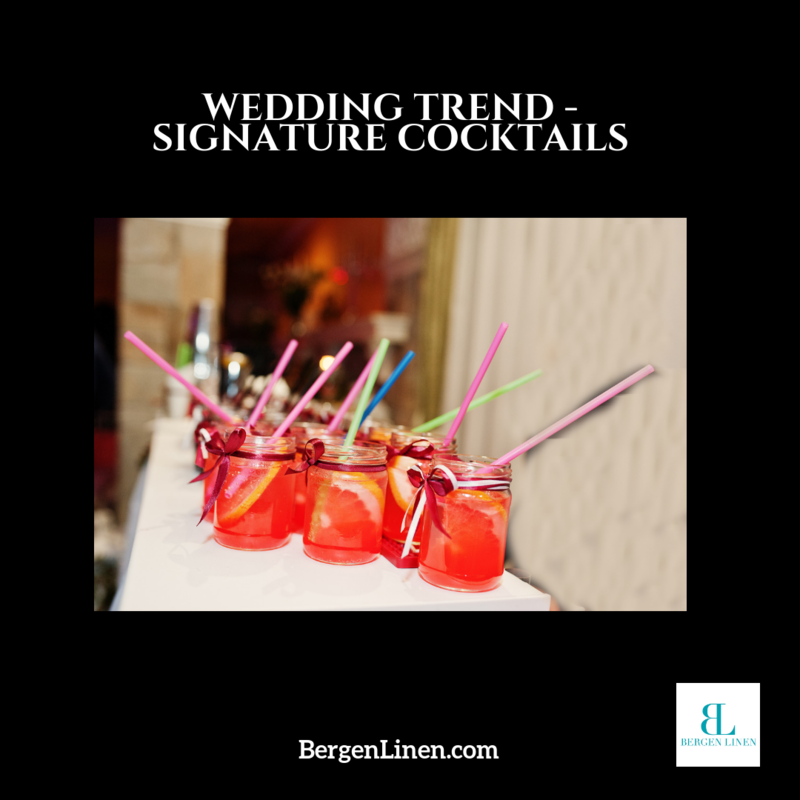 Email info@bergenlinen.com or give us a call today at (800) 789-8115.